Scotland is a beautiful country not just because of its stunning landscapes but also for the special legends that surround these blissful mystic places. These are not just stories woven by someone to attract tourists but for real and the people of this country actually tell them with conviction and truely believe in these magic legends. We had taken a tour to Scotland and our driver told us so many legends surrounding Scotland, I just loved it. My 4 year old kid also loved the stories and believed in them. I would like to share a story which I remember from the trip. Many many years ago, the King of Kintail had 7 daughters. One day two brothers sailed into Loch Duich (Loch means lake in Scottish language) and were smitted by the beauty of the 2 youngest daughters. They asked the King to Marry them, but the King refused because he wanted his elder daughters to get married first. They promised that they would go back home and bring back their 5 brothers who would be eligible to marry his elder daughters. The King agreed and they married the younger princesses and left. They sailed off with their new brides and did not come back for many many years. 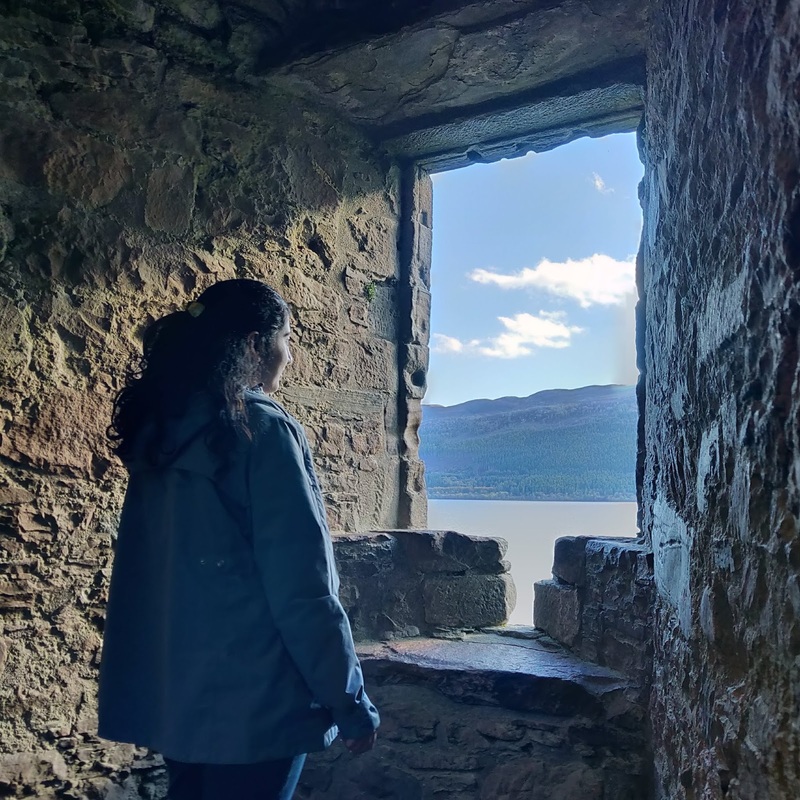 The five remaining sisters waited and waited forever, until the ageing King of Kintail went to a witch and asked her to preserve the beauty of his 5 daughters. The witch agreed and the next morning turned them into mountains. You can see 5 stunning mountains one after the other, layering and looking after each other. Each one has a name after the 5 sisters. In this way their beauty was preserved for ages to come. This is a beautiful story and it looks even more believable when you actually see those pretty mountains. Thankyou so much Mridula for visiting my blog! !